In under a year, I was able to begin my own App Development Studio, KAJAM! Studios, alone without spending a crazy amount of money. I have released 3 games to date, with 2 more on the way. I have also gained over 50,000 followers on my social media accounts. I am a one-man team and I don’t use any fancy equipment or software to help me build my apps. Assuming that you know how to develop apps, I have created a step-by-step guide of how I was able to accomplish all this by myself in under a year, with hopes that you will be able to do the same. NOTE: If you don’t know how do code, this article will not be very helpful. I’ll be writing an article on how to create your own mobile apps without coding experience. This is probably the most important thing you can do with pretty much anything. It is important to set a goal when starting your own app development studio. Do you want to develop apps to make money? Do you want to gain fame and power in the app developing world? Or is there another reason you want to create apps? These aren’t bad goals by any means, but it is important to set out a goal and aim to achieve it. Personally, I had nothing to do with app developing 1 year ago. I graduated from the University of North Texas in May 2016 with a degree in Marketing. I always wanted to develop apps but I figured that out a little too late to study it in college. I decided to learn how to create mobile apps on my own while pursuing my career in marketing. By having a full-time job, I am able to make a living while creating apps and growing my app development studio. If you begin to generate enough revenue through your app development “hobby,” then you can simply quit your job and focus all your time on creating apps. You don’t need a team to be able to start your own app development studio. If there are people who would like to partner with you and share the profit reasonably, then great. But if not, it’s perfectly fine. I am a one-man team. I run all my social media accounts which have over 50,000 followers, I create my own apps, I create brand-related art, I edit my own photos, and so on. I found out that forums are incredibly helpful, and talking to people with common interests is also very important. As for the graphics, if you can’t create them yourself, you can buy art packs (buttons, character art, menus, etc…) online for cheap. Don’t buy fancy equipment unless it is truly necessary. If you have a laptop or a desktop computer that is relatively new and works fine, then you don’t need to buy a new one. I have a 2015 MacBook Air which isn’t fancy at all. It isn’t slow and that’s the most important part. As for storage, I have a 2TB external hard drive where I save and backup most of my app-related files. You can find a 1TB, which is great, on amazon for under $50. That’s pretty much all I use to develop my apps. Everything is done on my laptop and stored on my external hard drive as a backup. When you feel like it is necessary to upgrade and truly can’t develop apps with your current equipment, then it is obviously time to buy something new. It is important to decide whether you would like to publish your apps on the App Store, Google Play Store, or any other platform you can think of. Personally, I develop iOS and Android apps and I publish them on both the App Store and Google Play Store. In order to publish your apps on the App Store, you will need to enroll in the Apple Developer Program which costs $99/year. To get a developer account on Google Play, all you need is to pay a one-time $25 fee. Personally, I think this is extremely important. Creating your own brand and logo allows you to look more representable and professional, and allows you to put your own personal stamp on all your apps. As you grow, people will begin to recognize your brand and will become more familiar with who you are and what you do. Come up with a creatively unique name and think outside the box. Take your time with this, your brand will be with you wherever you go. I created my own logo for free. I don’t have a background in graphic design and yes, I know my logo isn’t great, but you can create one yourself without spending any money. I will talk about the free software I used to create my logo in the next section. As I mentioned in the section above, I created my own logo using free software. I didn’t bother to use Photoshop on my MacBook, because it costs a little more than what I’d like to pay. Instead, I was able to find a great alternative: SumoPaint.com. Sumo Paint is a free online image editor, without need to install anything to your device. It’s the most versatile photo editor and painting application that works in a browser. You can open and save images from your hard drive or save it to cloud. I absolutely LOVE it, and no this is not an ad for Sumo Paint. I also use Sumo Paint for a lot of my graphics and art that I use in my apps. Another free software I use for creating and editing images for my apps and social media posts is the free Adobe Photoshop Mix available on the App Store. It’s basically Photoshop in the palm of your hand. It’s seriously amazing. I edit a lot of images while I’m laying in bed at night or when I don’t have my laptop. The app is also available on the Google Play Store. Creating a website is very important for any business, especially an app development studio. Again, I did this for free at first using WordPress. Creating a website with WordPress is incredibly easy. There are plenty of free themes to choose from and many of them are highly customizable. This website was actually created with WordPress. 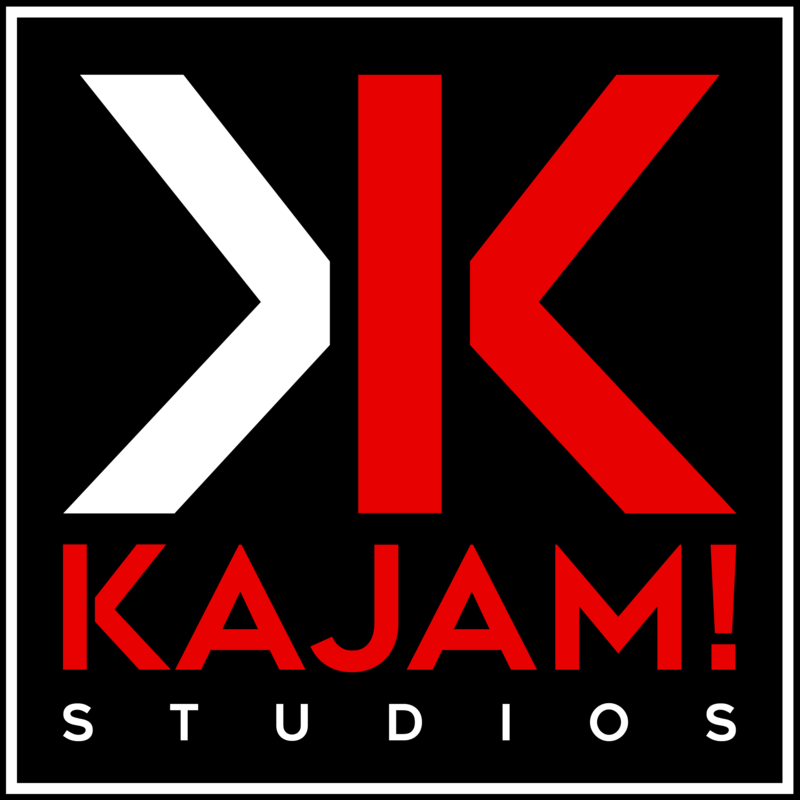 After about 6 months, I purchased the kajamstudios.com domain for under $15/year. Through my website, I am able to showcase all my apps that allows visitors to easily download them. I am also able to share my experience and knowledge through blog posts (like this one) with my audience. Having a website allows you to have an “office” wherever you are. Focus on one topic: app development, gaming, fashion, travel, food, etc… Be specific. Implement your brand: use your logos you created (as mentioned above) and let your social media have its own personality. Be personal: as an indie app developer, and a one-man team, I try to relate to people who have similar interests. Don’t sound like a serious corporate company, have fun! Post content: stay active, but don’t be over active. 2-3 posts throughout the day is fine, try not to exceed that too much. Also, it’s okay if you don’t post that often. Sometimes, I post three times a day, then I go a few days without posting anything. I try not to go more than 2 days without posting, but life happens, so don’t worry if that happens. Let me know in the comments section below if I missed any steps or if you have any tips or wisdom you would like to share with everyone. Cheers!